GRAND was announced today: the Graphics, Animation and New Media NCE (Network of Centers of Excellence). This is a national network of scholars in Computer Science, the Social Sciences and Humanities, put together by the redoubtable Kelly Booth over the past year. Our group is leading the project on Security and Privacy in New Media, and is involved in two cool projects on games: play and performance, and games for learning. 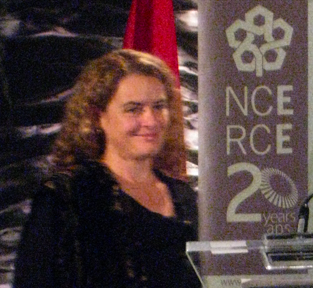 The announcement was made that NCE conference in downtown Ottawa, where the keynote speaker was Canadian astronaut Julie Payette.